Now best known as Captain America, Chris Evans takes on something darker with the sci-fi/action flick Snowpiercer. In the near future, an attempt to halt global warming succeeds – sort of. It leaves the Earth covered in ice and kills off most of humanity. A small number of survivors stay alive on an ever-moving train called the Snowpiercer. We find them in the year 2031 and see the social strata in place, as not all passengers experience equal existences. Back in steerage, Curtis (Evans) plots a revolution to allow the have-nots to get to the front of the Snowpiercer and enjoy its pleasures. We follow this effort and the surprises that come along the way. When it hit US theaters in summer 2014, Snowpiercer encountered a fairly rapturous critical reception. 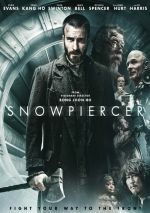 This didn’t translate into box office success, as the movie mustered under $5 million in the US, but at least it offered signs Snowpiercer could earn a cult audience; with fan raves and a 95 percent Rotten Tomatoes rating, the film found praise wherever it went. Given that I enjoy sci-fi/action films, I figured all those plaudits assured me a good time with Snowpiercer. Unfortunately, the end result didn’t please me in a way I anticipated. I think the movie comes with strengths but doesn’t add up to a consistently satisfying experience. Snowpiercer also comes with a terrific cast. In addition to Evans, we get Oscar-winners Tilda Swinton and Octavia Spencer as well as nominees Ed Harris and John Hurt and other “names” such as Jamie Bell, Alison Pill and Ewan Bremner. That’s a lot of talent, especially for a low-budget sci-fi action piece like this. With all that behind Snowpiercer, why does the end result leave me somewhat unimpressed? The main culprit comes from the story, or lack thereof. Though it contributes a few twists at the end, Snowpiercer plays as a basic rebellion tale and it does little to alter that framework. We follow our heroes as they progress on their mission and experience the usual ups and downs. Again, we do get a change-up toward the end – a discussion of which would enter spoiler territory – but this doesn’t alter the general nature of the material or add much to it. Until – and maybe even after – the ending, the characters lack much depth. Most seem like stock personalities, and even with all the acting talent on hand, the actors can’t make the roles richer. Of the bunch, Swinton offers the most memorable work, though it remains up for debate whether she made “good” choices. Other parts of the movie lean toward quirky comedy - Snowpiercer shows an obvious Terry Gilliam influence and embraces the absurd on occasion – but no one and nothing quite go for the gusto like Swinton. She delivers a wild, campy performance that seems likely to either be loved or loathed by most audience members. As for me, I thought Swinton’s take seemed out of place in this film but at least she added some life to the proceedings. Too many of the other characters seem dull and forgettable – starting with Evans’ lackluster lead. It feels like the filmmakers told Evans “act like Christian Bale” and that’s about it. I like Evans and think he has talent, but he doesn’t do much to show it here. Probably the movie’s biggest flaw comes from its simple-minded symbolism. Snowpiercer wears its themes on its sleeve – and on its pants, and on its hat, and on every other piece of clothing it can find. It batters us with its notions of class, oppression and other elements without much respite, and it does so in a unilaterally ham-fisted manner. 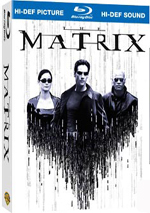 Elsewhere on this disc, an audio commentary acknowledges this one-dimensional material but views it as a positive. I don’t get that. If Steven Spielberg or James Cameron deliver simple social commentary, they get raked over the coals, but in this case, we’re supposed to applaud undeveloped themes? This doesn’t mean I think Snowpiercer should’ve avoided the social/political elements – I just believe it should’ve done so in a more inventive and revealing manner. If any nuance or spark accompany the themes, I can’t find them; I just see flat, obvious “insights” that practically insult the viewer’s intelligence. Even with those issues, Snowpiercer remains a moderately entertaining experience. It boasts just enough visual creativity and punchy action to ensure it doesn’t lose the viewer. Unfortunately, it remains a triumph of style over substance, as its lackluster story and simplistic themes impact it in a negative manner. Snowpiercer appears in an aspect ratio of approximately 1.78:1 on this Blu-ray Disc. Across the board, the transfer looked great. Sharpness seemed strong. Virtually no instances of softness materialized, as the movie seemed concise and accurate. Shimmering and jagged edges remained absent, and I witnessed no edge haloes. Print flaws failed to appear. Teal. Teal teal teal teal! That hue dominated the film, especially during the first half. It still featured prominently after that, but the palette opened up a little more and gave us some ambers, reds and others. While I thought the teal seemed extreme, I couldn’t criticize its reproduction, as the Blu-ray displayed the hues as intended. Blacks looked deep and taut, and shadows showed good clarity. This was a consistently strong presentation. No complaints accompanied the excellent DTS-HD MA 5.1 soundtrack of Snowpiercer. With plenty of action, the soundscape often opened up in a dynamic manner and used all the channels to great advantage. I also liked the way the track immersed us in life on the train. This was a broad mix that excelled at all times. No real issues with audio quality emerged. A couple of louder lines showed mild edginess, but the vast majority of the speech remained natural and distinctive. Music was bold and dynamic, and effects killed. Those elements were expressive and impactful, as they showed fine definition and power. I liked this track a lot and thought it added to the movie. When we shift to extras, we start with an audio commentary from film critics Scott Weinberg, James Rocchi, William Goss, Drew McWeeny, Jennifer Yamato and Peter S. Hall. Weinberg hosts/leads the chat and brings in the others one at a time via the phone. The piece covers story/character areas, themes and influences, cast and performances, sets and design, and the film's release. The commentary usually provides an insightful look at the film, though some participants seem stronger than others. Goss comes across as the weakest of the bunch; he simply doesn't seem to have much to say, even though Weinberg works hard to elicit remarks. The others fare better, especially Rocchi and McWeeny, who seem lively and engaging. Weinberg throws out plenty of his own thoughts and I admire his enthusiasm about the film, though I think he and the others can be too quick to forgive potential problems. For instance, Weinberg and company see the movie's one-dimensional political viewpoint as positive, which I don't get; I don't agree with the assertion that "subtlety is overrated", especially in the context of a work that wants to be intelligent and insightful. Despite my disagreements with the participants, I think this becomes an enjoyable chat, and I was happy to hear opinions that differed from my own. On a second disc, we find a slew of materials. Transperceneige: From the Blank Page to the Black Screen runs 54 minutes, 27 seconds and presents artist Jean-Marc Rochette, comic book specialist Fershid Bharucha, writer’s widow Couetsch Bousset-Lob, scriptwriter Benjamin Legrand, director Joon-ho Bong, production designer Ondrej Nekvasil, and actor Clark Middleton. The show covers the original comic on which the film was based and its adaptation to the screen, story/character areas, cast and performances, visual/set design, and related areas. Essentially “Page” looks at the film’s production from the perspective of those involved with the original French comic book. That sounds like an interesting take on the movie – and it can be enjoyable for a while, but I think it runs too long. I don’t think we get enough compelling information to flesh out a nearly hour-long show. While good tidbits appear, this would’ve worked better as a much shorter featurette. Under The Birth of Snowpiercer, we find a 15-minute, nine-second piece with Joon-ho Bong, Nekvasil, costume designer Catherine George, stunt coordinator Julian Spencer, hair and makeup Jeremy Woodhead, director of photography Hong Kyeong-Pyo, line producer Robert Bernacchi, VFX supervisor Eric Durst, and actors Song Kang-Ho, Chris Evans, Ed Harris, John Hurt, Octavia Spencer, Ko Asung and Tilda Swinton. The show looks at the movie’s origins, character/story areas, sets and visual design, effects and costumes, stunts and action, and the director’s work. “Birth” exists to promote the film but it includes enough useful material to make it worth a look. The Characters goes for 13 minutes, eight seconds and includes Joon-Ho Bong. Evans, Hurt, Spencer, Song Kang-Ho, Swinton, Ko Asung, and Harris. As expected, we learn about cast, characters and performances here. It follows “Birth” with another decent but unexceptional featurette. Though the disc includes no deleted scenes, we do find an Animated Prologue. In the four-minute, 31-second reel, we get much of the same information found in the movie’s actual opening, but we get a clearer visual representation of what occurred. It offers an intriguing alternate start to the film. We hear from two actors in Chris Evans and Tilda Swinton on Snowpiercer. During the four-minute, 40-second piece, they discuss their characters as well as the director and a few other elements. This seems like a mediocre show without much depth. For the final featurette, we locate the eight-minute, six-second The Train Brought to Life: Behind the Scenes of a Special Screening. This one shows a train-based promotional even in Texas and includes an interview with the director, as he offers some thoughts about movies. “Train” doesn’t offer much meat but I like the unusual chat with Joon-Ho Bong. The disc finishes with Concept Art Galleries. This domain splits into “Train Concepts” (13 screens) and “Rochette Paintings” (23). The former show train design ideas, while the latter offers material supposedly created by a film character but actually done by artist Jean-Marc Rochette. Both deliver some interesting elements, though the clunky interface makes them more of a chore to examine than I’d like. Despite a strong cast and an intriguing premise, Snowpiercer delivers nothing more than fitful entertainment. It does enough well to make it reasonably interesting, but its clumsy, over the top attempts at social commentary can turn it into a drag. 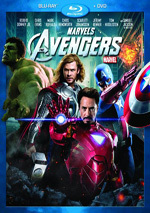 The Blu-ray comes with excellent picture and audio as well as an inconsistent but mostly positive set of supplements. I think Snowpiercer offers some lively elements but the final product suffers from too many flaws.